YOU HAVE ENTERED THE CLOTHING OF A BODY TO EXPERIENCE THE VENUE FOR YOUR LESSONS. Remember dear souls of the lost, you’re not your bodies. Your bodies are clothing and biocomputer devices that are running an application where you call yourself ME. The world is alive and sentient and has high energetic liquid and solid crystalline crystals that are laced in a gridwork around the world in the lay lines and energy vortices of your planet. There are dense electric phonetic energy and computer programmes that are holographic light vectors you call the physical realm. But think of yourself as a bacterium in a Petri dish being studied by the scientist of yourself in the future. You look at time and space as something that evolves and is sequential. You look at the movement of the planets and the distance in which to where your destiny is but, in reality, all is consciousness. The more you find yourselves connected to the source code of your being without being captured in the density of the moment you will find your supreme identities restored. You will be going through intense energy through intense fears because you have to release the spell of this realm in your Merkaba vehicle. There are treacherous fields that can overwhelm you like a tidal wave and unless you have achieved mastery and ascension in this dimension you might find yourself lost and out of control of what you’re seeing. If you don’t have spiritual growth and maturity in the magnetic orb field of your presence then you will have no force fields to protect you from lower astral entities and negative gremlins. When you’re beginning to make the transition you will be activated in your dreams by higher beings. If you don’t have the comprehension and the bandwidth to what we speak of, it doesn’t possibly have any relevance in your psyche due to suppressive indoctrination. You have been systematically taught fears that are works of the devil and not “Gods plan”. The God you know is the God stolen from the cohesive book you call your bibles and major religions. All based on scientific knowledge and ancient of days from mankind. So you have already been geared to be afraid of the changing world as God’s judgment. The rulers are pitting you against one another for civil war while they are clearing the table and leaving into their secret bunkers and deep underground military bases with tunnels all stocked with food and provisions. But before they go they want you pitted against each other and will leave you with viruses and social war. Stay connected by the heart in the matrix and the wisdom and love this entity has gathered and manifested in a state of consciousness. This is the only way to ascend to the higher beings. People are aware there are orders that kept on advancing since 1920 and have devices 1000 years in advance but in reality what this world has seen is even greater. This is just a remembering of what you had before you had the deluge because of the wicked nature to fellow beings. If you don’t have compassion for others and you feel that others have none even though they have a conscience being in their minds, then you will understand that anyone who kills and bombs people are not the leaders of the soul spirit of the higher dimensions. They are acting upon interdimensional beings taking them over for this experiment of mankind. As with everything in the Universe a strong opposition creates strong positive things that may happen. We hope you maintain a balance of your formats in your responsibilities and not for the dominance of other people. Everyone knows this on some level. Do not take credit that you’re some special entity because your vehicle cannot take the entity on this dimensional plane. Unless you’re a healer with a good statute of humour to laugh at it all then you will become fixated on selfies and what we term selfishness based on sparkles and not solid gold. For this specific reason, we have had to hold back many of the teachings and technologies we’re wanting to give many of you. Great masters have incarnated and gone through the worse of tests as humans and it isn’t until they achieve the hurdles and milestones of quickening and learn to let resentment go, that these are the lessons you learn. As you come online on the photon belt many of your bodies are aligning and reconstructing your physical vessels into matching light bodies. The lattice of your body forcefields create torsion energy ventures which are fractally connected and these are being activated on a fractal level for most of you. 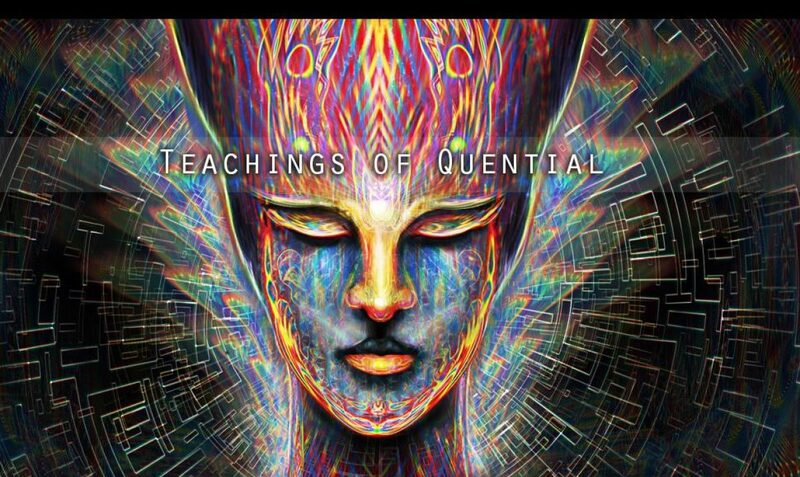 This is what is being activated and bringing you the quickening. Once again, we ask that you get outside of your insecurities by trying to prove to others how great you are without getting the message that you’re great by the radiance and compassion to heal and love. Many of you right now are being tested to learn how not to react when some ignorant being or collective assault you realise that they’re hurting and misled, instead of sending negative and keeping your stuck in karmic cycles. When you have made one round and experienced all the potential heavens that you venture into there is a time when you shall have the opportunity to be guided by an usher of light and taken to a new orbit of experience and wisdom. For many, they will have to repeat the cycle again for c25,600 years. This is the red and blue kachina, it is the great medicine wheel, the shield of Brahma. By many terms you will be mistakingly calling this the rapture but in order to advance you need to be the kings and queens of your psyche in your pineal gland and responsible spark orb of the endless dimensional presence which you’re all filtering through with the very act of consciousness itself. With that said, the real currency is your resonance volume of interdimensional Merkaba links of light by your radiance of light and self-mastery. This is your power and moreover your birthright. This is done by spiritual growth and evolution and not by saviours and lords. It is yourself in all trueness, it is your recognition of your presence that infiltrates your light fibres through the whole galaxy which you’re all linked together by a greater force of cosmic energy called love. Previous Previous post: THEY HAVE DESIGNED CIVIL WAR BY LETTING YOU THINK THAT YOU’RE FIGHTING FOR YOUR FREEDOM. Next Next post: BE THE CALM BEFORE THE STORM WITH THE KNOW OF THE CHALLENGES.